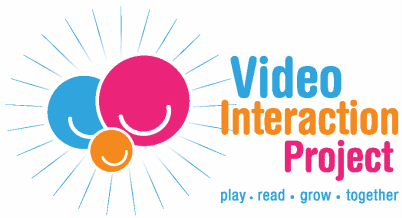 The Video Interaction Project is a free program for parents of infants, toddlers, and preschoolers who are receiving pediatric care at one of our locations. At VIP, you get to have fun with your child while helping him or her learn! VIP is designed to be convenient for you. You get a free VIP session at every one of your son or daughter's well-child doctor visits. This can happen before your child sees the doctor (while you wait) or after. - Get to play with your child while creating a video together. - Get a copy of your video to keep, so you can watch it at home and share it with your child and family! Each video that you create becomes a wonderful keepsake and memory of your child at each age. As you continue to do VIP sessions, you will build a collection of videos of your child's growth that you can watch together for years to come! Will I have to pay anything to get VIP? No! VIP is a free program. You do not need to pay anything, and when you participate you will get a free toy or book to take home as well as a DVD of you and your child playing together! Each VIP session takes around a half hour. Please factor in a little extra time for VIP on the day of your doctor's appointment to make sure you have time for your session. Can I do my VIP session while I wait to be called to see the doctor? Yes! This is a great time to have a VIP session. When you arrive at the clinic, call your VIP Coach to let them know you are here and ready for your session. What if I am not able to do a VIP session when I am at the clinic for my child's doctor appointment? If it doesn't work out to do your VIP session on the day of your child's doctor visit, you can come back another time to do your session. Talk to your VIP Coach about a time that would be good for you to come back. If you can't come back before your child's next doctor visit, that is okay, you can still have a VIP session at that next visit! What if I am at the clinic for something other than a well-child visit? Can I still do my VIP session? Of course! Families often come to the clinic for many reasons, including medical visits for the mother or other children, sick visits, or for non-medical reasons (like appointments for the Women, Infants, and Children [WIC] program). Any time you are at the clinic (and your child is not contagious), you can do a VIP session if you are due for one! If possible, call or text your interventionist ahead of time to let them know you will be at the clinic. What if I have other children with me? That is okay! They will be able to sit in the VIP room with you while you complete the session. We have some toys and books that they can play with while you complete the session with your other child. The main focus of the session will be the child that is participating in VIP, but your VIP coach can talk with you about how the ideas and activities from the VIP session can be used at home with all your children. What if I do not feel comfortable being videotaped? Not everyone is used to being videotaped, and during your first session the idea of being videotaped might be uncomfortable to you. However, creating a videotape and then watching yourself and your child on camera playing together is one of the most powerful and special parts of VIP -- we encourage everyone to try it at least once! Many parents become more comfortable after watching the video created during their first session, plus these videos become a great keepsake to have in the future of your child at this age. The videos that you create as part of VIP are kept confidential and are not shared with anyone outside of the clinic and our team. If you are very uncomfortable with being videotaped, or if your religion or culture does not allow you to be videotaped, talk to your VIP Coach about this -- we will work with you to do a VIP session that you are comfortable with without involving videotaping. If you have any questions about VIP, talk to the VIP Coach at your location.